The CANNP has approved EIN’s Online Diploma in Holistic Nutrition Program (DHN) as meeting the educational requirements for its designation NNCP (Natural Nutrition Clinical Practitioner). CANNP is an organization formed for the purpose of creating a stronger presence for Holistic Nutritional Practitioners across Canada and supporting members in the development of their professional expertise and businesses. The benefits of membership include the availability of Errors and Omissions Insurance, a mentoring program, many member specials as well as access to industry and business information on an on-going basis, and much more. For more information on CANNP visit www.cannp.ca or call 519-787-2667. The IONC has approved EIN’s Online Diploma in Holistic Nutrition Program as meeting the educational requirements for its professional designation of Registered Nutritional Consulting Practitioner (RNCP) and Registered Orthomolecular Holistic Practitioner (ROHP). IONC, founded in 1983, is an independent association that sets standards of practice for its professional members. Through IONC, practicing RNCP/ROHP’s may obtain malpractice insurance. Services of RNCP/ROHP’s are also covered by some private health insurance plans. For more information on the IONC you can visit their website at www.ionc.org or by call 1-866-540-1114. NANP is a U.S. nutrition association originally founded in 1985. 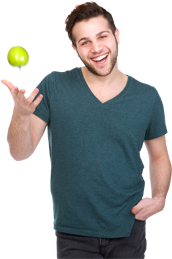 EIN’s Online Diploma in Holistic Nutrition Program meets the NANP’s requirements for professional membership. 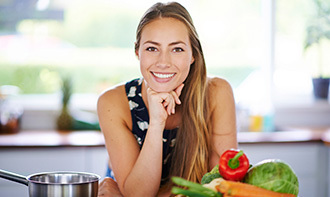 NANP also offers the opportunity for members to write the board exam in holistic nutrition for the designation Board Certified in Holistic Nutrition. For more information about the NANP and membership benefits please visit www.nanp.org or call 800-342-8037 or 877-526-5340. EIN is certified by HRSD (formerly Human Resources and Development Canada, HRDC) as an educational institution under the Income Tax Act for the purposes of issuing tuition tax receipts for amounts over $100 to students 16 years of age and older. For more information on tax deductions please refer to Tax Deductions under Fee Structure. Retraining Allowances Approval for retraining allowances by HRSD is determined on an individual basis. Contact your local employment office for further details. Countries other than Canada may or may not provide similar benefits.